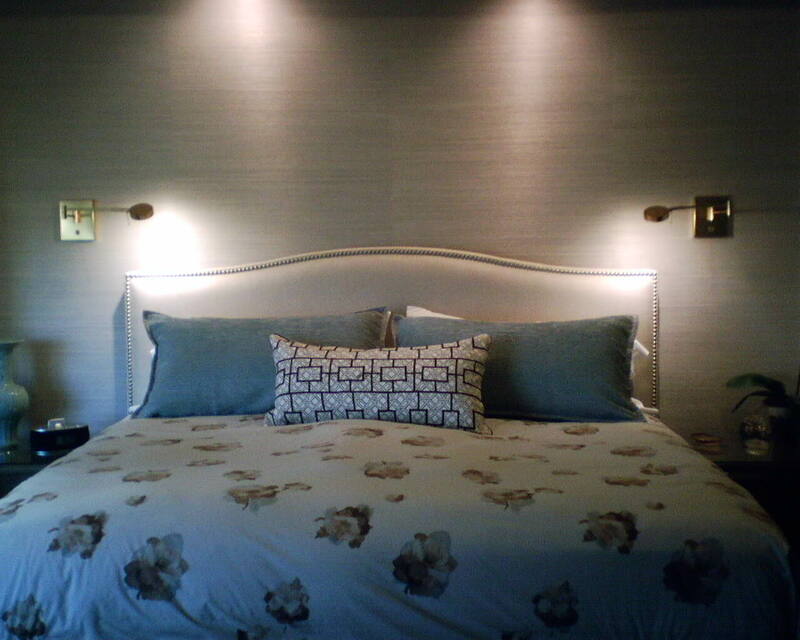 Houzz.com is a very poplar site for people interested in home decorating and home fix-up. 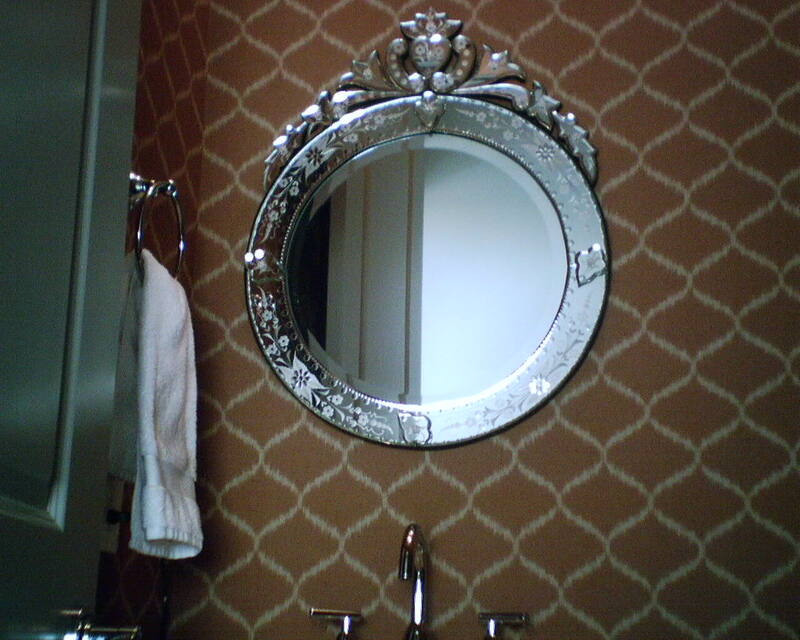 Here’s a current article on Houzz about wallpaper. Note that they mention the NGPP (National Guild of Professional Paperhangers), of which I am a member. Gotta Love It When the Client Has a Home Elevator! Wow, did this make my day and trek easier! I was working on the third floor, and true to form, had a brand new bucket of paste (45lbs) to haul up there. Plus all my other tools and table and etc. 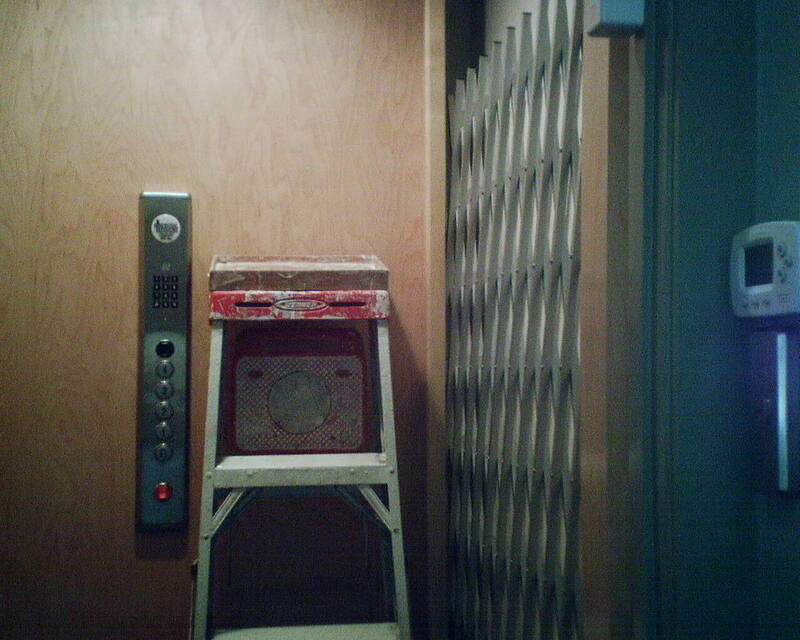 This home elevator, located right at the front door, sure made my life easier! Wow! What an impact a subtle change can make! 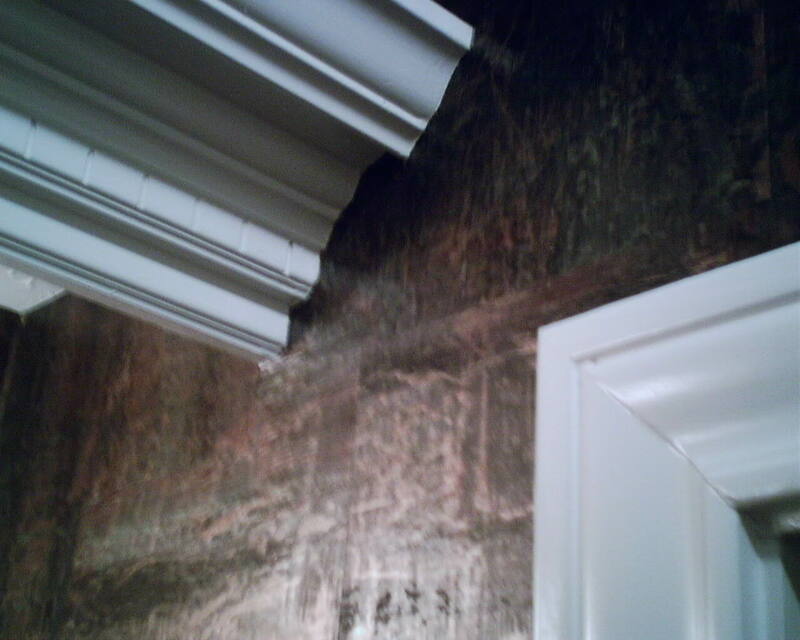 The first photo shows the bare wall with just a white wallpaper primer. 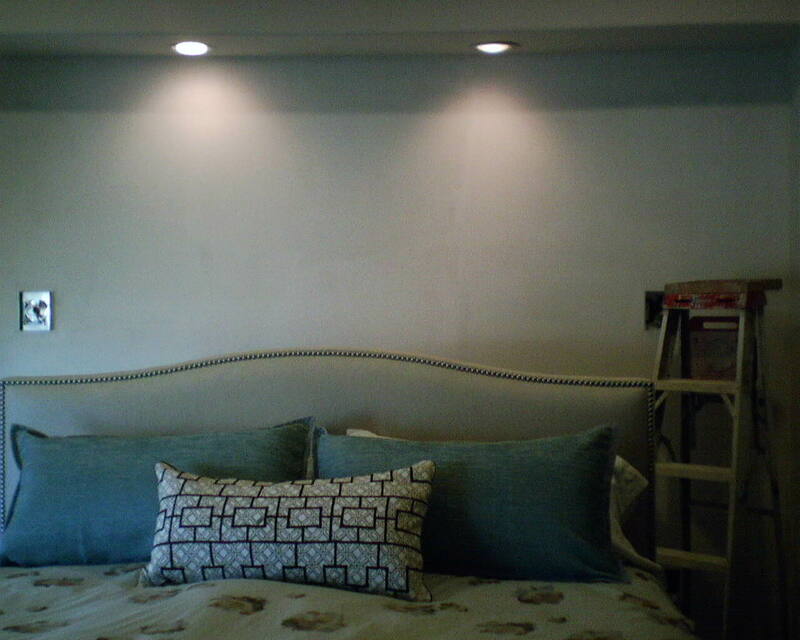 Next you see the finished wall – a recessed niche in a master bedroom, an accent wall behind the headboard of the bed. The wallcovering is a subtle somewhat finely-woven, linen-like grasscloth in a neutral color … with just a hint of sheen. 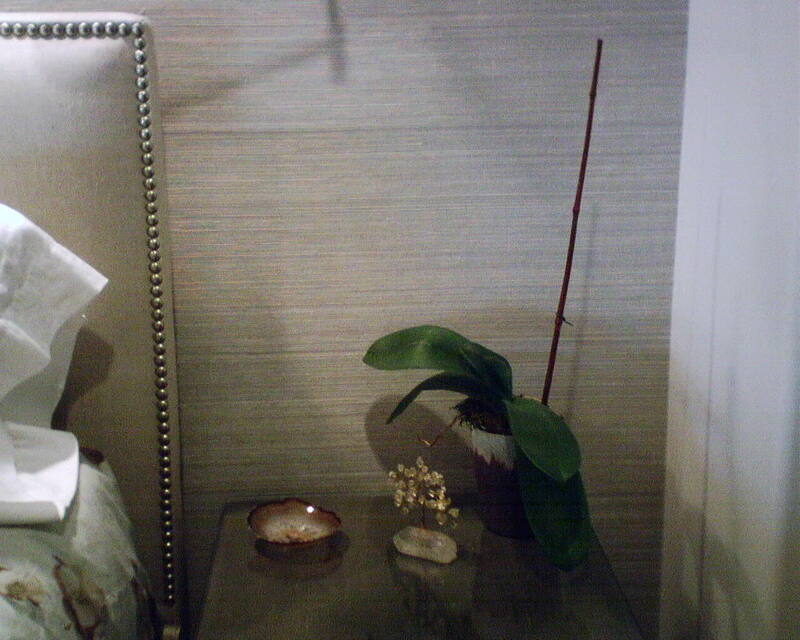 The finished look is smart but serene. It adds glamor without glitz. It’s earthy but sophisticated. And it is in the comfort zone for both a man and a woman. The client loved it. And I liked it – because all the strips were uniform in color, with no paneling or shading (do a Search on this site). I had two options in plotting this wall. 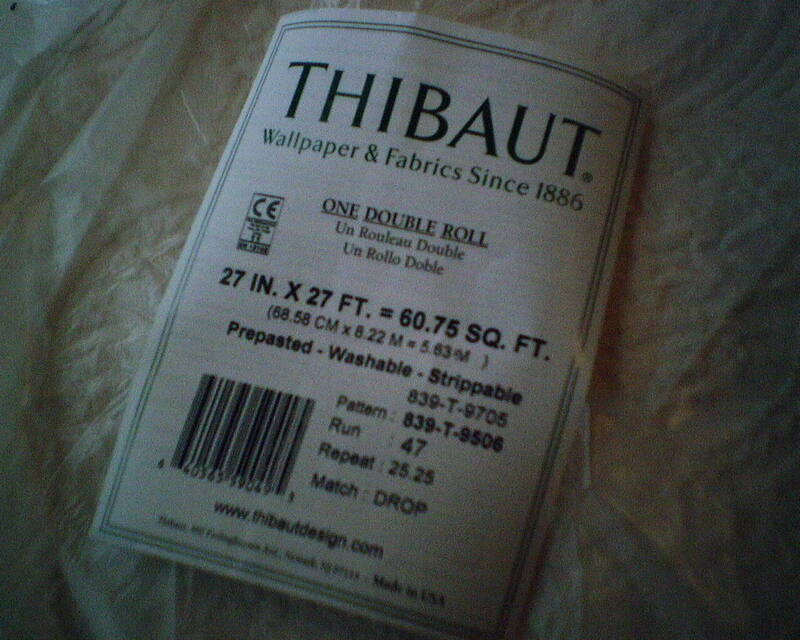 The rolls of grasscloth were 36″ wide. After testing, I knew that the wet paste would not cause it to stretch in width. 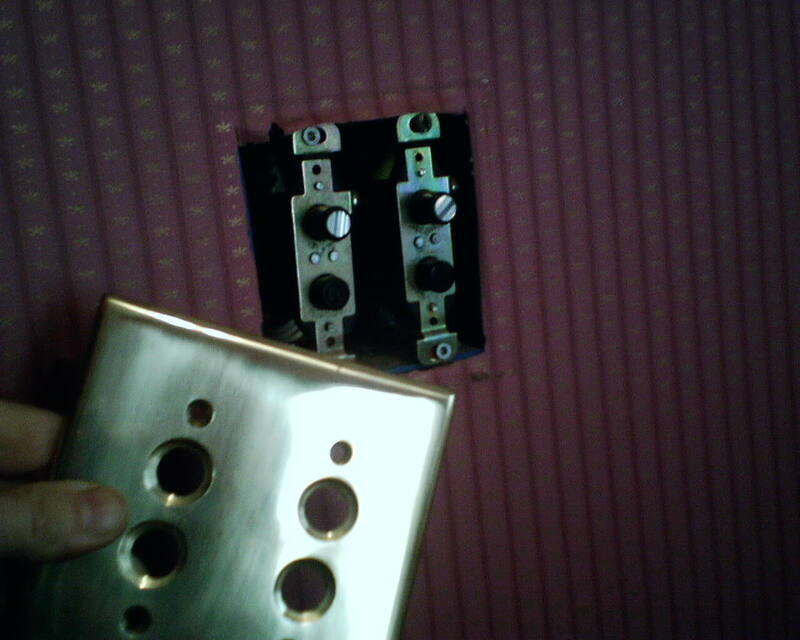 So, after measuring, to fit this wall, I could put two 36″ wide strips in the center of the wall, and two 31 3/4″ strips on either outer side. That would give a nice, centered, balanced look. OR – I could cut each of the four strips to 34″ wide, and have all four strips be the same width. This is a little more tricky, because I’d have to hand-trim the strips and ensure absolutely straight edges on both sides. That’s what I ended up doing. I cut all four strips to the same width. 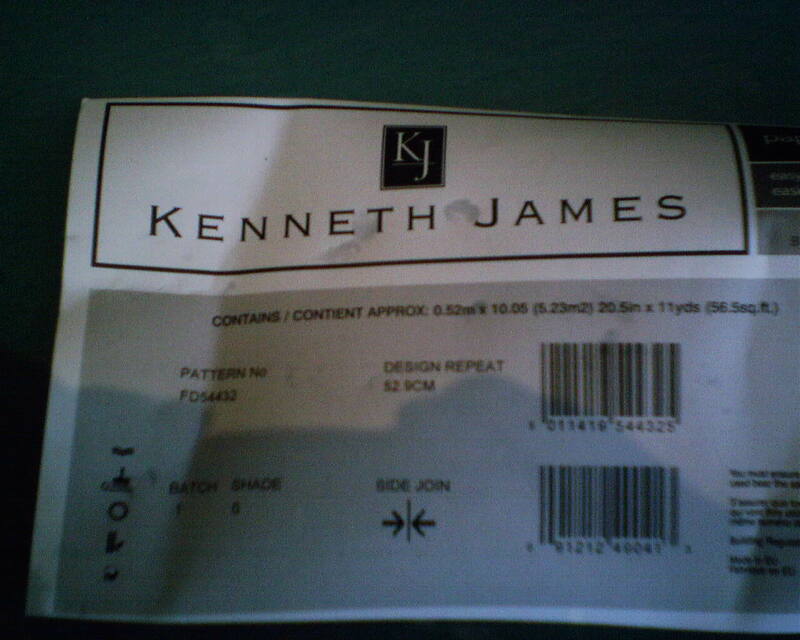 The paper was nice to work with, the seams butted perfectly, there was no color differentiation. 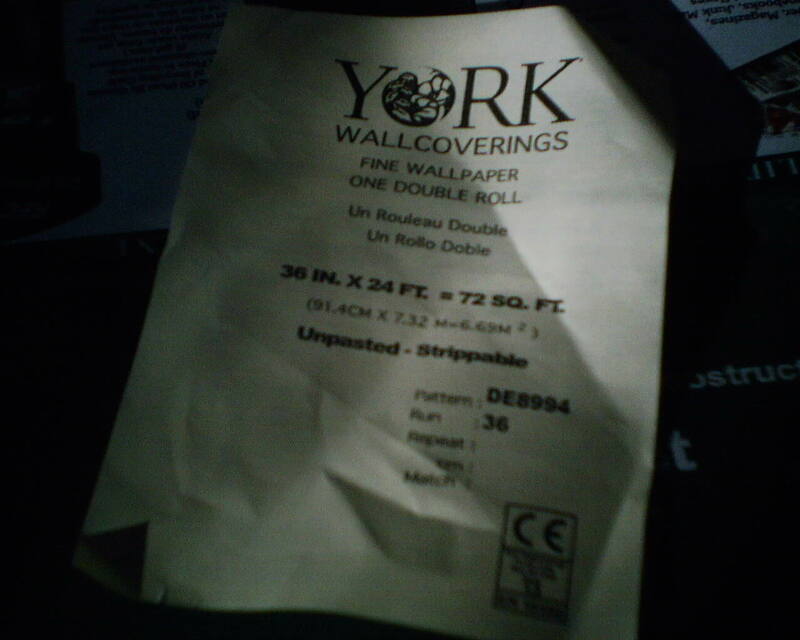 Now that I think of it, since York is a reasonably-priced brand and has so few problems, it makes you wonder why people go with other pricier brands, who can come with ugly shading or paneling issues. I have not hung many York grass products (I am a great fan of their regular paper products), but, if this is a fair representation of their grasscloth, I will happily steer my clients in this direction, rather than to the more pricy name-recognition companies – that cannot seem to get their quality control under control. This week, I’m working in a large 1904 house on the east side of Houston’s Midtown neighborhood. 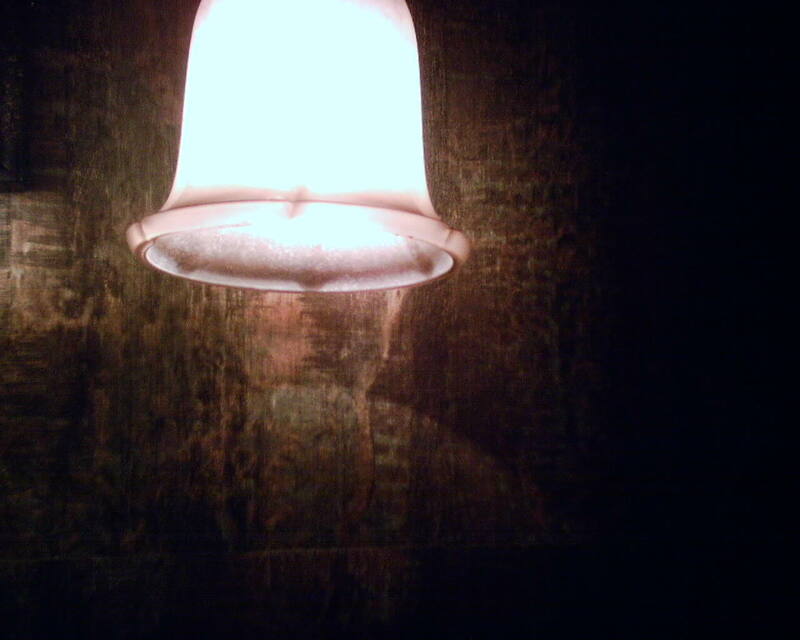 Most of the home’s original woodwork, flooring, paneling, light fixtures, etc. are in place. It’s beautiful! 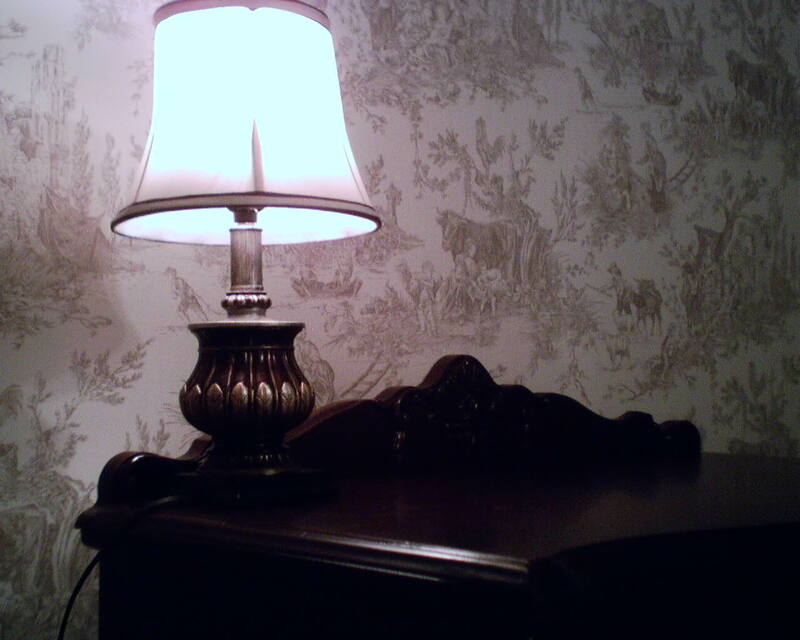 The wallpaper going up will be a light blue stripe on cream background; much brighter than the dull rose color in the room now. 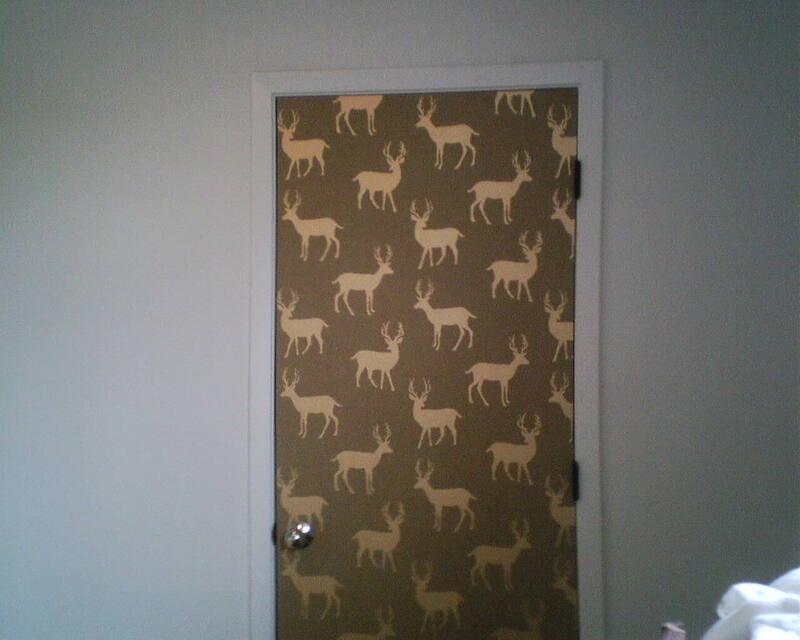 The homeowner loved this gold stag on craft paper pattern, but only had one double roll – not enough to do an accent wall in her on-it’s-way baby’s nursery. 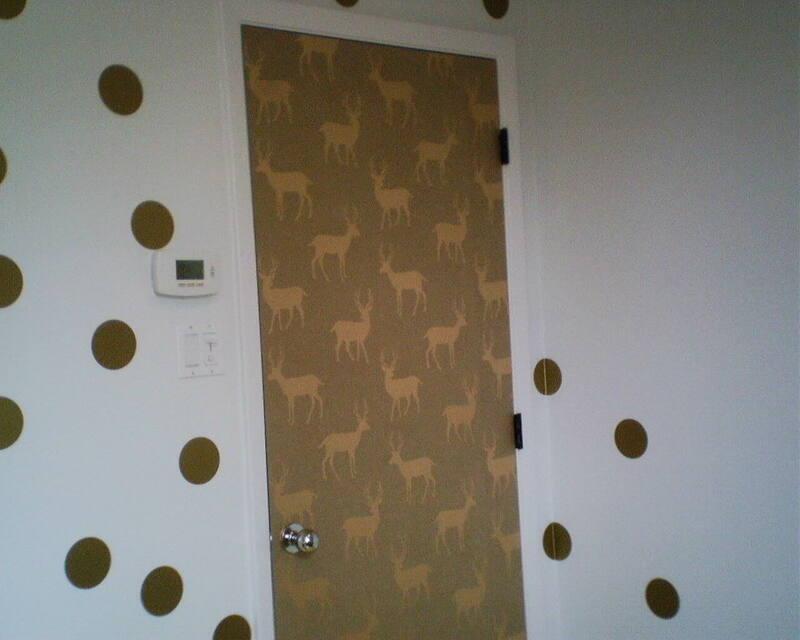 After tossing around a lot of ideas, we both hit on this winner – I papered the doors in the room! The doors were flat, and only needed a primer. The paper has a coppery-gold motif on a craft paper type backing, but the material is more durable than regular craft paper. That’s good, because doors get handled a lot. 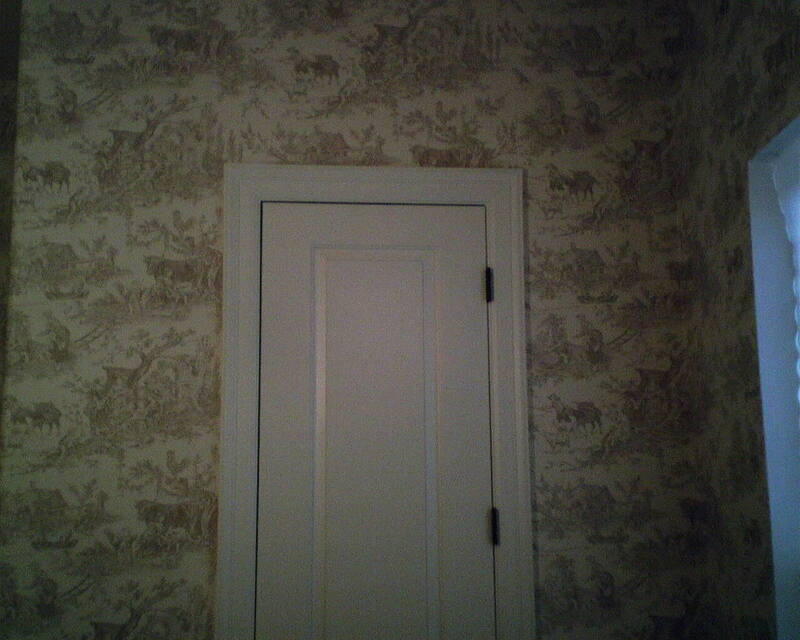 Often, the sides of the door are wrapped with the wallpaper, but in this case, I didn’t, because of abrading when the door is opened or closed, and also because of how the other side of the doors are viewed, when the doors are open. I tossed in a photo of another section of the room, because I love the innovative ideas this young couple has. This has to be one of my favorite nurseries ever! 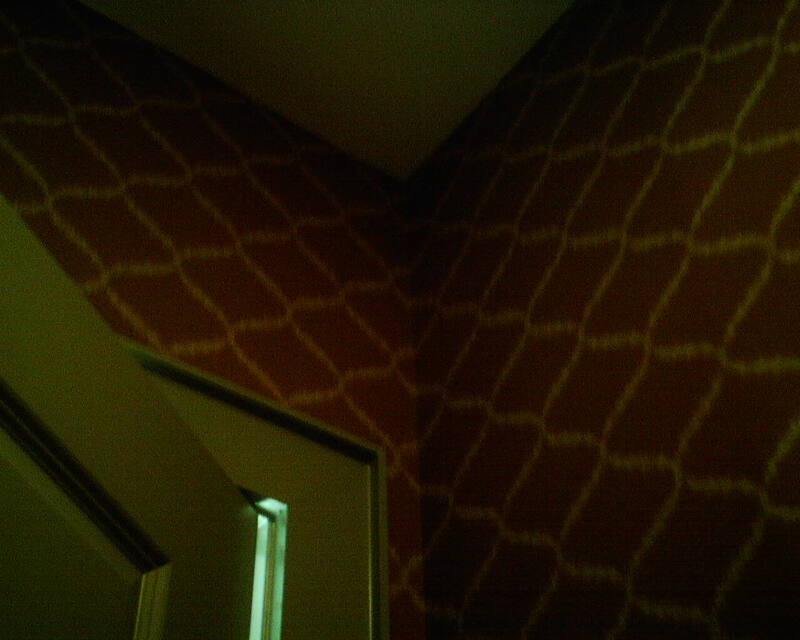 For several years not too long ago, wallpaper took a nap. Now it is back in style, and EVERYONE wants it! When wallpaper came back into vogue, it’s like it reinvented itself, unveiling new patterns and colors – overscaled medallions, bold geometrics, retro designs, and textures. People are using paper different ways, too. Accent walls have become predominant, and kitchens are rarely ever papered these days. But many people are drawn to the traditional, and I don’t mean old people who can’t handle change. 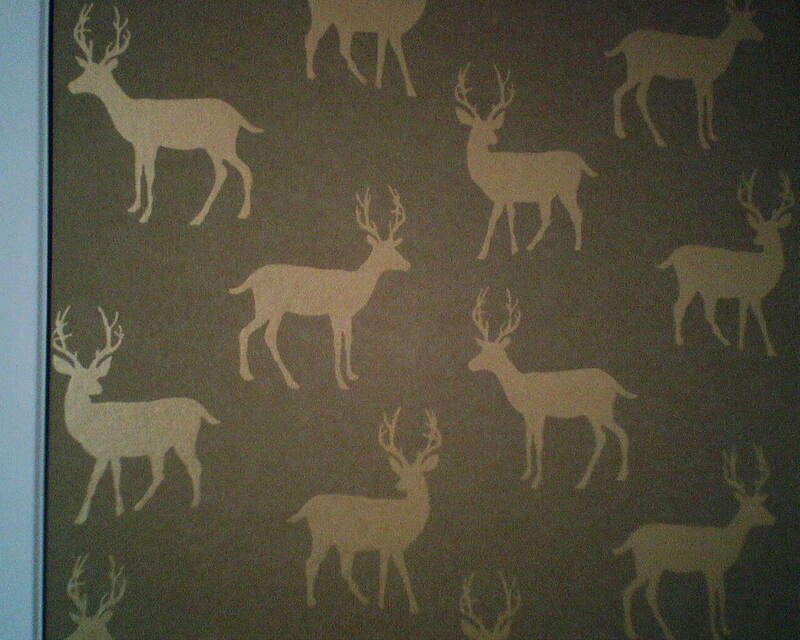 In just the last month, I have papered three bedrooms – not just an accent wall behind the bed, but all four walls. And last year I did two other entire bedrooms. 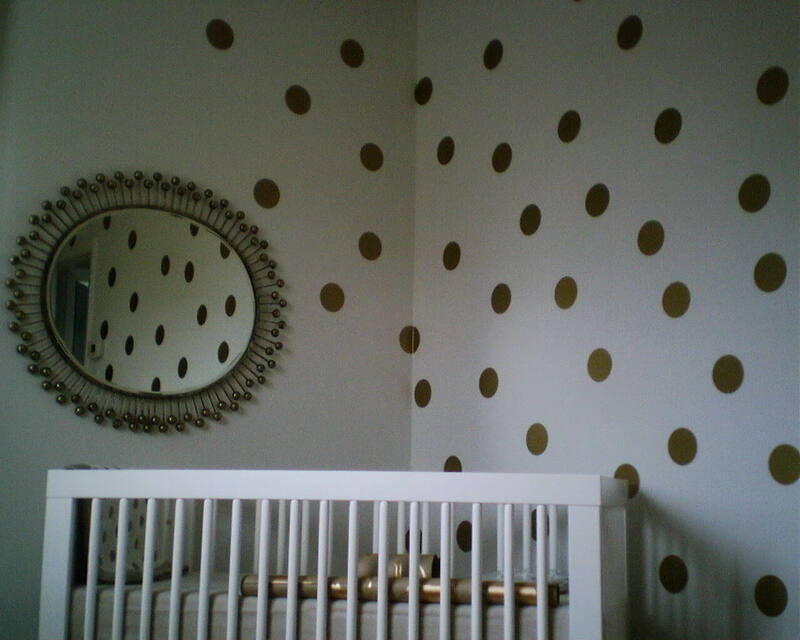 This beautiful tan-on-cream design went in a guest bedroom in a new home in the Woodlands. 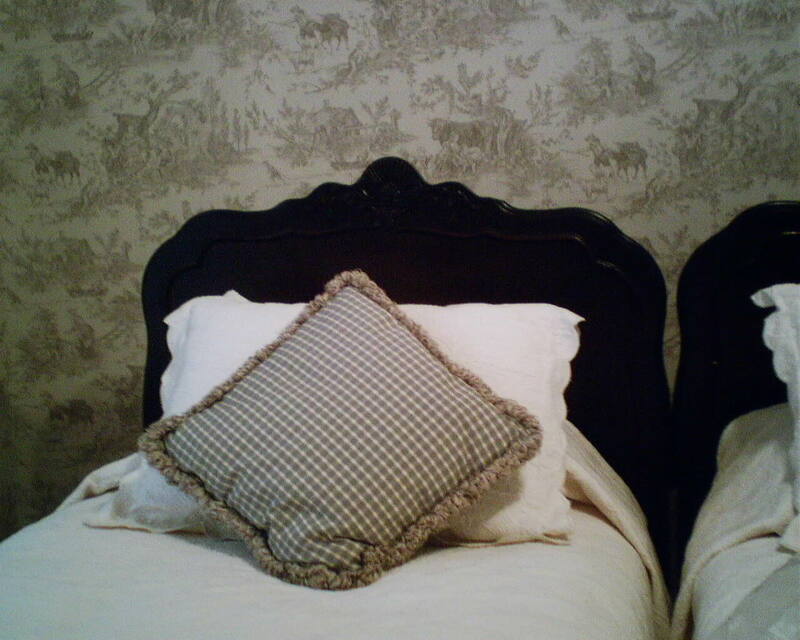 The room is special to the homeowner, not only because the wallpaper makes it so lovely, but because it is furnished with her grandparents’ bedroom suite, bought in the 1920’s. This is the same furniture the homeowner slept on every weekend, as she was growing up. What you also see is a little “something” left behind by the homeowner’s brother, who spent a few nights with her over the Christmas holiday. 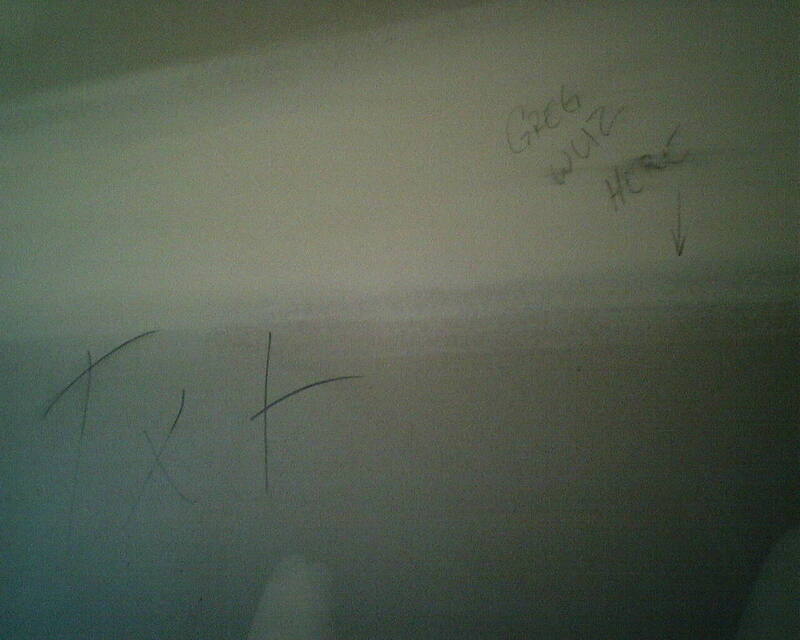 “Greg wuz here.” His wife Stacey wrote her own note on the other end of the wall. 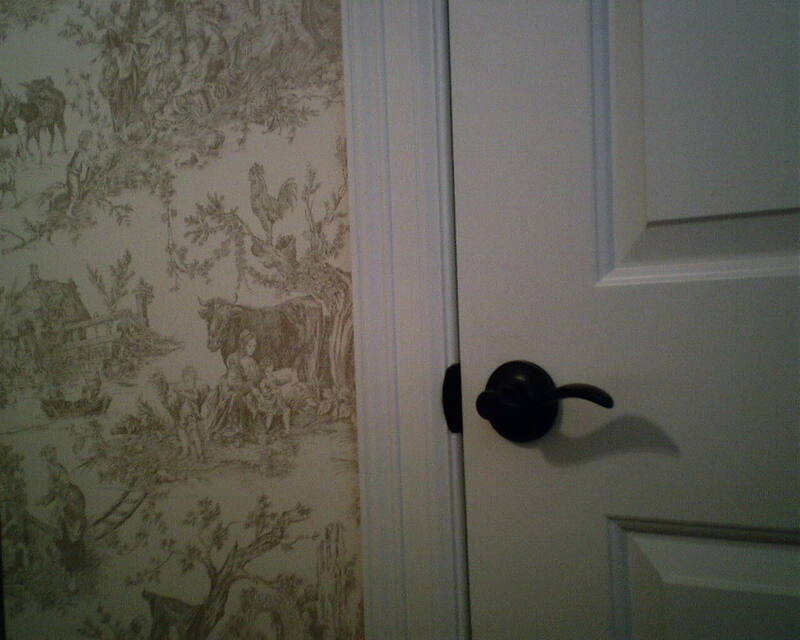 The homeowner commented that she found it a little odd that a guest would write on the walls of his hostess’s new home. I, on the other hand, was less concerned with etiquette than in determining with what implement the message had been written… You see, pencil is OK. 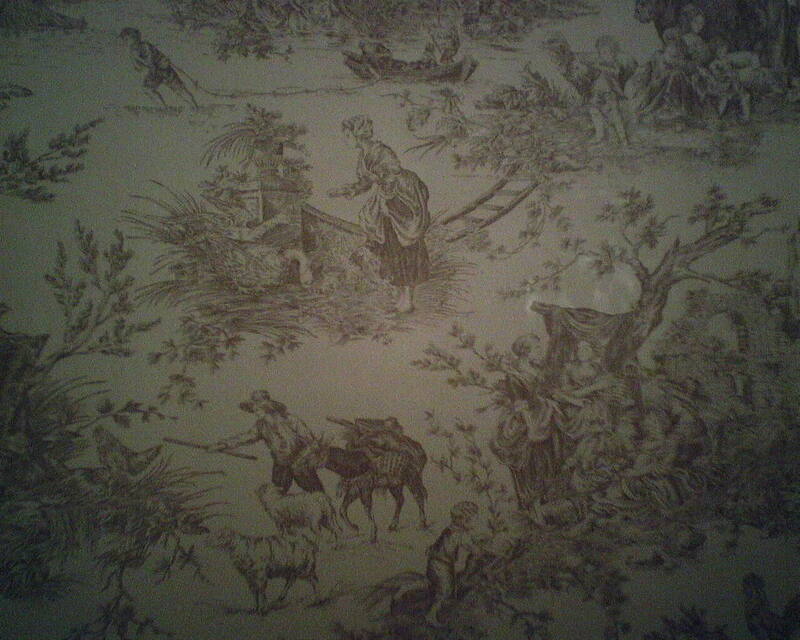 But ink, be it ball point pen, Sharpie, or other, will – and I mean WILL – bleed through wallpaper. (It bleeds through paint, too, BTW.) 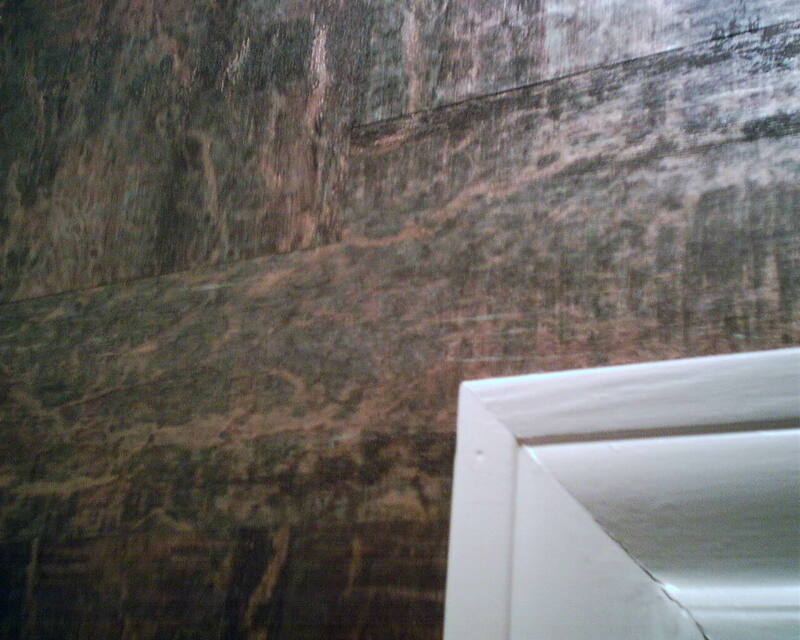 To prevent that, you have to seal it with KILZ or the like, or take a Stanley knife and cut it out of the Sheetrock altogether, and then patch the damaged spot. I was very relieved to see that they had grabbed a pencil, for writing their clandestine message.